» Win a Family 4-Pack to see Scooby Doo Live!! Home » Contest » Win a Family 4-Pack to see Scooby Doo Live!! Win a Family 4-Pack to see Scooby Doo Live!! I am very excited about my next giveaway….one lucky reader will win a family 4-pack of tickets to see Scooby Doo LIVE at the Palace Albany on April 24th! Scooby Doo Live! “Musical Mysteries” will be on stage at the Palace Theater in Albany on Thursday, April 24th at 7 PM. SCOOBY-DOO and the Mystery Inc. Gang have been called in to help solve an epic mystery in Albany, NY! A trouble-making ghost is haunting a local theater and SHAGGY, FRED, DAPHNE, VELMA and SCOOBY-DOO are on their way in the MYSTERY MACHINE to help solve it! This hilarious live theater show brings everyone’s favorite animated series to life. 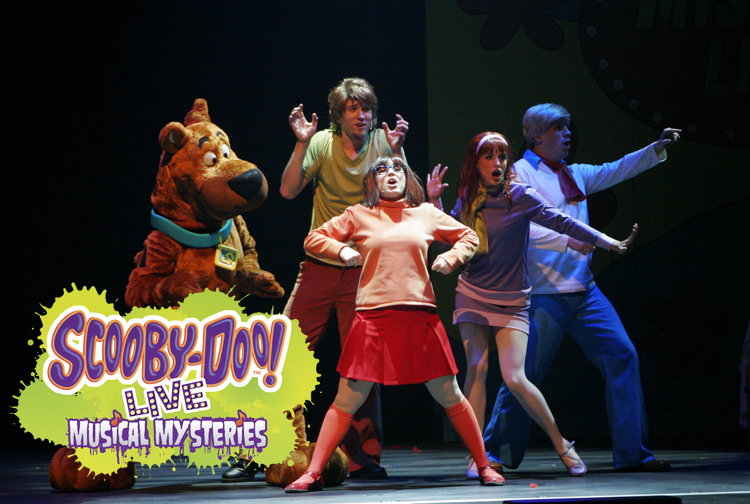 Filled with wacky new characters, fantastic songs and outrageous antics, SCOOBY-DOO LIVE! 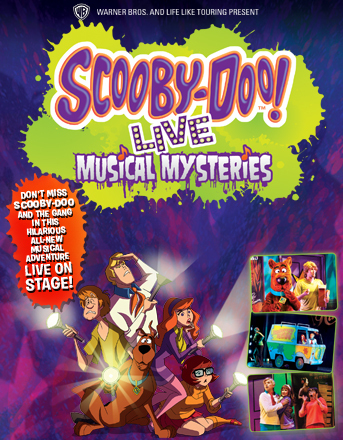 MUSICAL MYSTERIES, presented by Warner Bros. and Life Like Touring, will have audiences on the edge of their seats in traditional Scooby-Doo fashion. See if this time the gang is in over its head! Tickets range from $18-$40 or you can purchase special VIP tickets for more and meet the cast. Find out more HERE about the show. I learned that this show is appropriate for children aged 3 and up. Want to win a FREE family 4-pack of tickets?? I am giving one package away to a lucky Capital Region Finds reader. Enter to win HERE on my giveaways page by 4/22. Winner will be notified Tuesday night and tickets will be available for pick up at the theater. Good luck and Happy Easter to all my readers who celebrate the holiday! This entry was posted in Contest and tagged Giveaway, Live show, Palace Theater, Scooby Doo, Tickets. Bookmark the permalink.